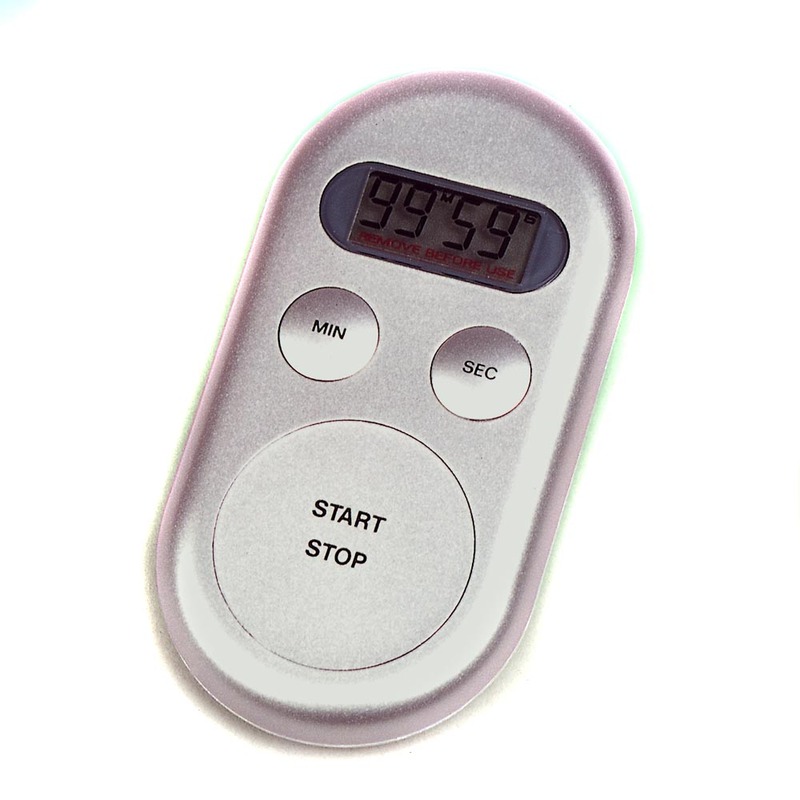 The Kaiser Digital Lab Timer offers a Four-figure LCD display for minutes and seconds. Count-down. Time preset up to max. 99 minutes 59 seconds. Acoustic signal for count-down to zero is very handy for dodging and burning. Interruption possible. Set starting time retrievable. Magnet on the back for simple fixing to metal surfaces. Including button battery: 1.5 V, type G-13. This is a process timer for timing print development or film development, for example. This timer is very compact, measuring only about the size of a modern mobile phone.